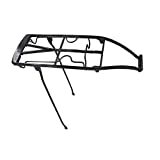 This bike rear rack is made of qualified aluminum alloy, durable and sturdy. Easy to fix tightly onto the seat post of your bicycle. 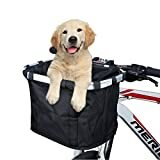 Great accessory for your mountain bike. 【Fitment】Please Note The Bike Luggage Rack Suitable for bike with seat post diameter is less than 33mm. Suitable for most bicycles, Such as road bike, mountain bike, fat bike, etc,please read the description before ording. 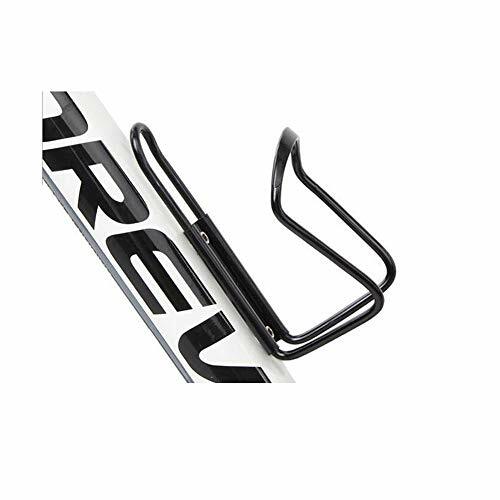 【Premium Alluminum Alloy】Bike rear rack Design with high quality aluminum alloy and quick release. 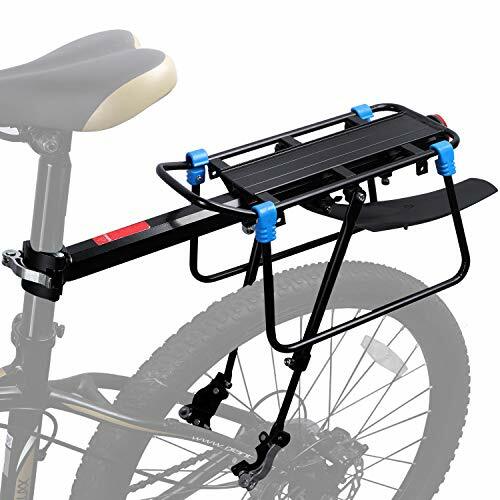 Fits V-brake and Disc brake bike, for many kinds of bike,durable and sturdy.This Rear Rack is Perfect for a Long Cycling Trip and Excursions to Carrying Enough Daily . 【Red Rear Reflective Lamp】Includes Red Rear Reflector Lamp,which can make you safer to riding at night and keep your luggage secure.An eye-catching sign protects your safety in daily or dark. 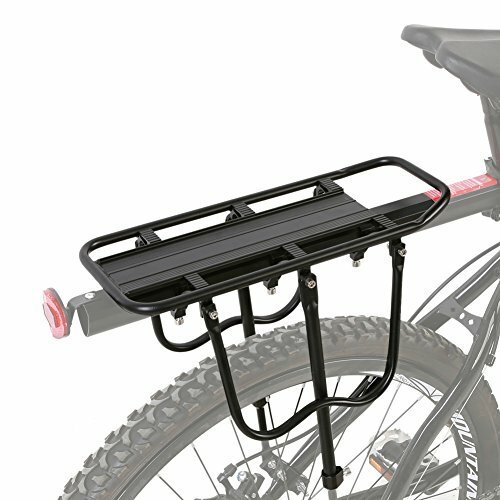 【Lightweight】High Quality & Lightweight with Large Capacity Bicycle Cargo Rack, This Rear Rack is Perfect for a Long Cycling Trip and Excursions to Carrying Enough Daily Necessities.